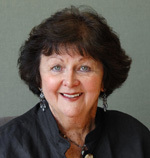 Pauline Woll, Attorney & Founding Partner - Woll & Woll, P.C. The law firm of Woll & Woll, P.C. has, from its inception, placed a priority on family. Pauline Woll, founding partner of the firm, became a lawyer after enjoying careers in both teaching and real estate. Pauline, a mother of three, found herself divorced with young children in the 1970s. No stranger to higher education (Pauline holds an undergraduate degree in English and a master’s degree in Library Science from Wayne State University), Pauline entered law school with the determination of a single mother bent on providing a life of quality for her family by helping others in need. Upon her graduation from the Detroit College of Law at Michigan State University (now known as Michigan State University College of Law), she began her practice in Southfield. Her practice area: family law. As a skilled arbitrator and mediator, and with extensive training as a crisis counselor, Pauline possesses not only the skills and education to successfully advocate for her clients, she understands intimately the impact of divorce and custody on a family’s wellbeing. Pauline’s legacy with the firm is represented not only by her incredible record as a litigator, but by the inclusion of her two daughters in the flourishing practice of Woll & Woll, P.C.